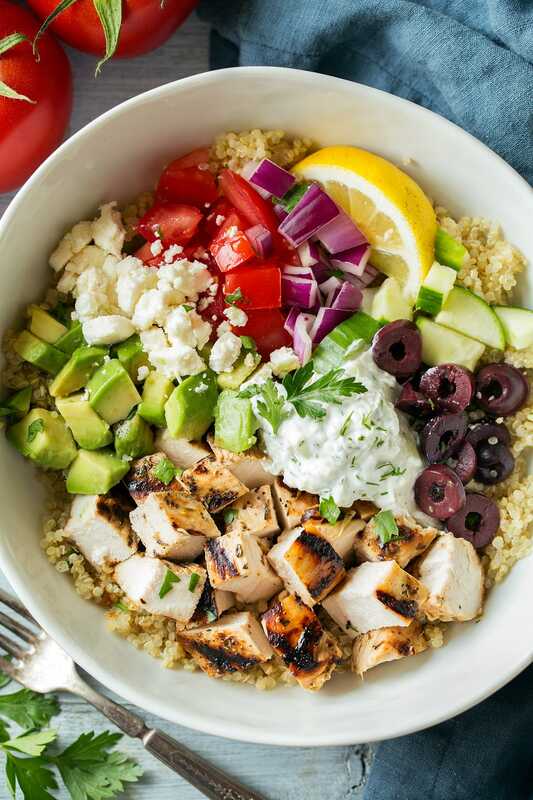 Grilled Greek Chicken Quinoa Bowls are perfectly fresh and hearty and loaded with all those classic Greek flavors we crave! They are packed with fresh veggies and topped with a creamy, herby Greek yogurt based tzatziki sauce. They’re Like a Gyro in a Bowl! 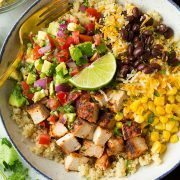 This is how you build a chicken bowl! Layers of texture, layers of flavor and always sure to satisfy! 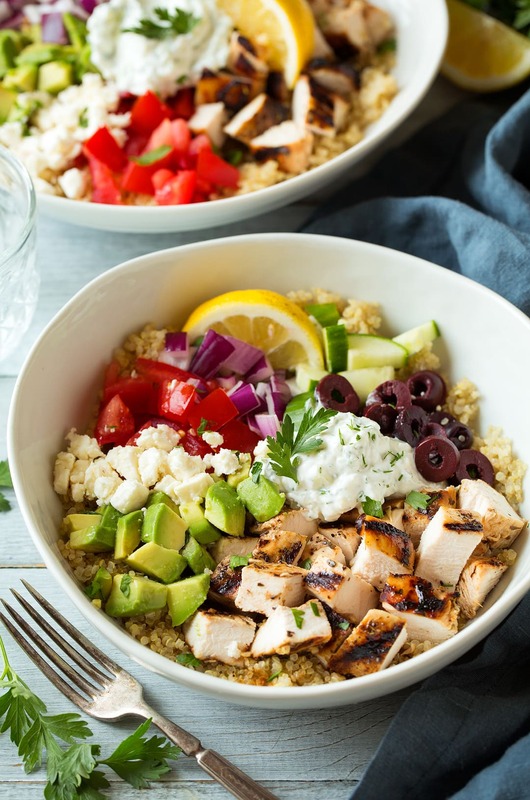 These Greek Chicken Bowls would also be perfect for meal prep. 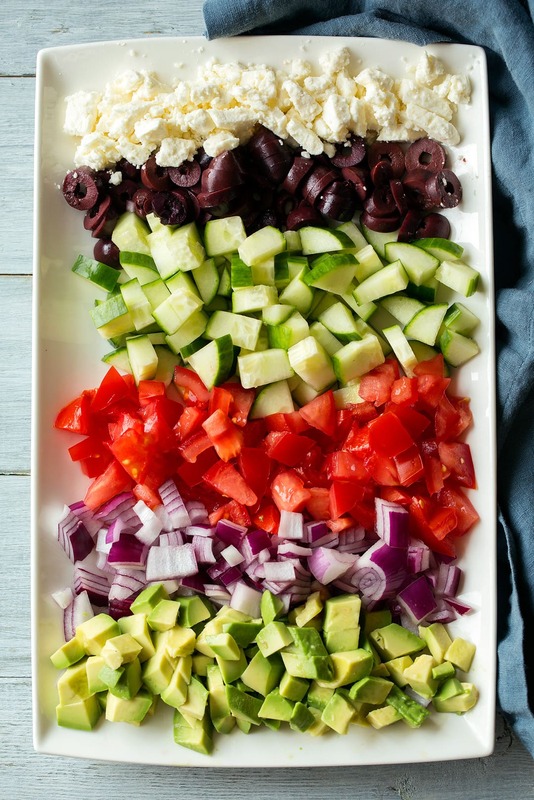 Just be sure to wait to cut add the avocado until ready to serve and keep the tzatziki in a separate small container. 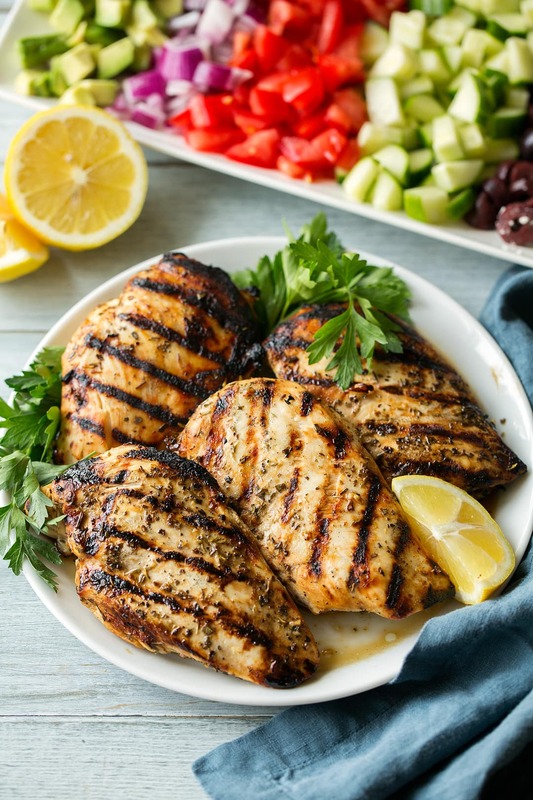 Really the key ingredients are the marinated and grilled chicken, the quinoa (which could be substituted with farro) and then I’d say at least one fresh veggie, and the tzatziki (which could be substituted with hummus). Then to make the best use of your time you can cook the quinoa while the chicken marinates and prep the toppings while the chicken is cooking. I used to believe in a 2 hour marinating time for chicken but the last few years on busy weeknights it just never happens so for many acidic marinades like so I’ve found 30 minutes is actually plenty. If you love Greek food this recipe is definitely for you. 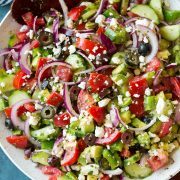 If you’ve never had Greek food then this recipe is definitely for you. If you are human then this recipe is for you :). Trust me it’s delicious! So good it you’ll be wanting to make it on a regular basis. Greek and Mediterranean food has a way of doing that. 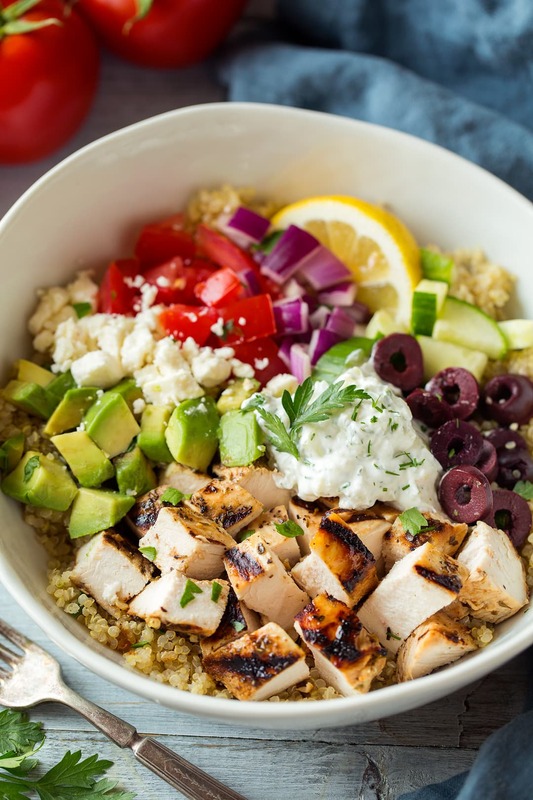 A fresh and hearty chicken and quinoa bowl loaded with the classic Greek flavors! It's like a deconstructed gyro. So many layers of nutritious ingredients and various textures. 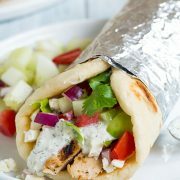 You'll love the finishing touch of a creamy tzatziki! Pound thicker parts of chicken breasts to even out their thickness. Transfer to a gallon size resealable bag. In a small mixing bowl whisk together olive oil, lemon juice, garlic, oregano, thyme, basil, honey and season with salt and pepper to taste (about 3/4 tsp salt 1/4 tsp pepper). Pour olive oil mixture over chicken in bag. Seal bag while pressing excess air out. Rub marinade over chicken then transfer to refrigerator and marinate at least 30 minutes and up to 6 hours. Cook quinoa in low-sodium chicken broth or water according to directions on package. Preheat a gas grill to 425 degrees. Once preheated grill chicken 4 - 6 minutes per side (depending on their size) until center registers 165 degrees. Remove from heat, cool 5 minutes then dice into cubes. To assemble bowls, divide a layer of quinoa among 4 pasta bowls. Top with chicken, tomatoes, avocados, cucumbers, feta, olives and tzatziki. Serve warm. *I like to add the honey just to help the chicken brown better. I like those dark grill marks on the chicken. **Follow link here for my homemade Tzatziki recipe (not included in prep time). Your recipes are all wonderful! How can someone send an email to you?